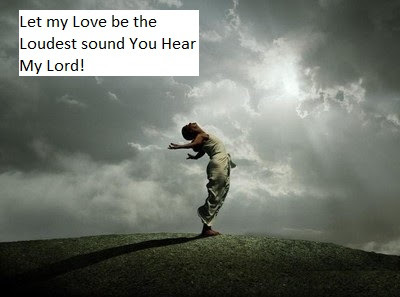 And my Lord said back to me, "Let My Love Be The Loudest Sound You Hear My Child"
I heard myself talking to myself, as I was encouraging and mostly listening to our daughters tell me about their day today at school. When I spoke out loud those pieces of comfort and wisdom to them, as I spoke Life, I could feel them flow right into my heart and spread their encouragement all through me. Our daughters are an inspiration to me. Today was the first day of school for them. On top of this, they began high school today, Yep! Ninth graders live in this home now. Our oldest daughter has ASD, so any changes and new beginnings that she does not initiate are challenging for her. I must say, I see growth, development and maturity in her and how she is handling confusion, disappointment, several new changes at once, etc... God answers Prayers, in the name of Jesus, yes He does! Our youngest daughter as with our oldest, was just going through what all of us have gone through on that first day in high school. When you put it all together, it's what we all go through when many changes happen at once because of new beginnings. We each handle them differently, some better than others. God will Speak to you through your children, if you are listening to them. Every thought that came to me as I listened to them reminded me continue to do the same things I was telling them to do. They have been proven to Work. I was reminded that when I hit bumps, or get tired, to change my perspective and remember that I am within new beginnings. It's going to be uncomfortable, I've never been here before-I will be stretched in ways I did not know I could be. New beginnings are always in a state of unfolding. Where we are today in them, is not where God is going to leave us. Embrace the new beginnings in this season of correction. ( I heard this growing up when I would pout, frown or was grumbling and moping)Take the bumps and find the Smooth parts, and Remember that this is only for a short moment the uncomfortableness you are experiencing from doing things a Different Way. Stretch your body how ever the New Beginnings Stretch you. There is Now More Room for your growth to Spread out into. Get Settled, find your spot where you can Stand Firm as you are being blown some by the Winds of Change that always Come with New Beginnings. You asked God to align you with His Will and Plans. You asked Him to help you accomplish His Purpose for your life. Well, that is what is going on. It's a Season of Correction! No Matter How we got to these too small places, to these wrong spaces, Here we have the opportunities that Will correct by moving us from where we Are -to- Where we Should Be. This Always Brings new beginnings as opportunities for Us to Step out of the too small places and spaces we have become stuck in, not growing and not maturing. Remember that even though you thought you were comfortable where you Were--you Had outgrown that space, and your Roots were Crowded at the bottom of that container with no Room to Spread out and Not Enough Food available to Feed your Spirit! Embrace your new beginnings in this season of correction. I Encourage you to allow Gods corrections to do what needs to be done in you, for you and through you. In the name of Jesus, To God Be The Glory!